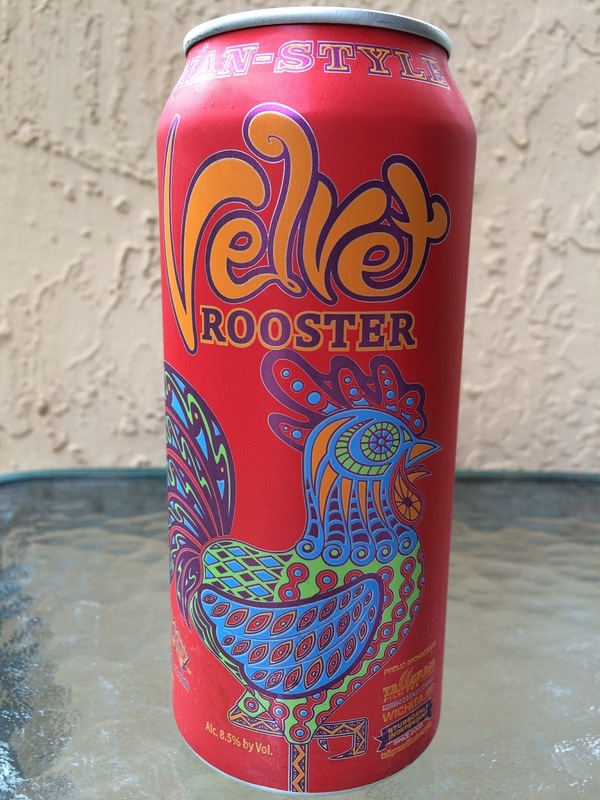 Tallgrass Brewing's Velvet Rooster was on the agenda for today, if you know what I mean. 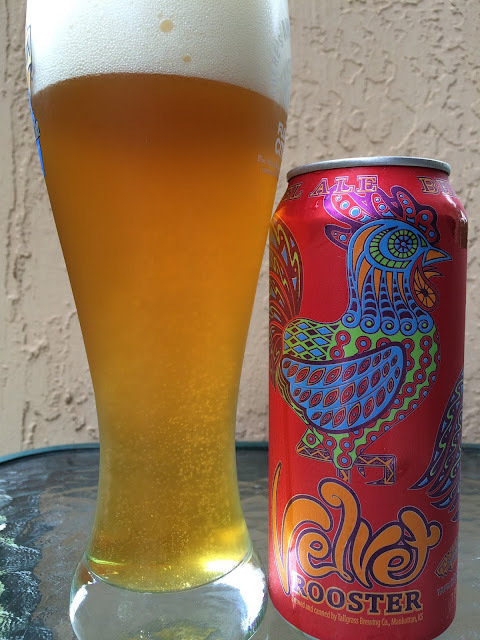 Yeah, drinking a pounder of this Belgian-Style Tripel with really cool can art. The Rooster is multi-colored and stands out on the red can background. Tallgrass also makes note of their sponsorship and support of the Tallgrass Film Festival on the can. 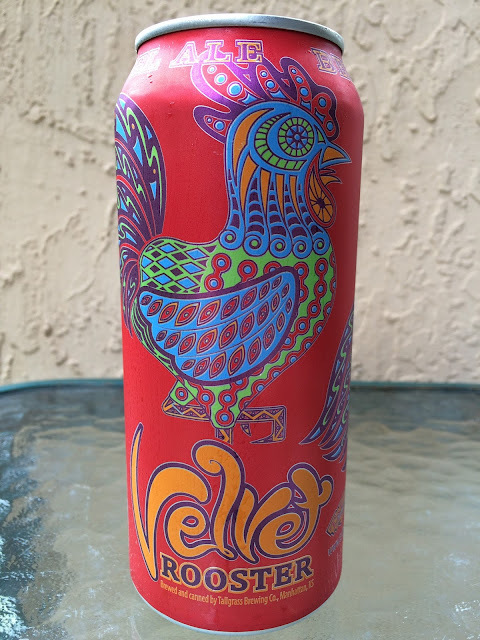 8.5% alcohol. Drink By 04/28/16. Big Head! Bubble Gum and yeast aroma. Very fruity to start, oranges and bananas. Tons of bubblegum follows, with a slight alcohol delivery. Soft with a creamy (velvety?) texture. The yeast is really prominent which I'm pretty sure is why my wife brought up soap. Sweet with fruit and candi sugar, perhaps a little too sweet. Nice flavors that work really well together, nothing too powerful. I could have used a bitter or spicier hit to cut the sweetness but enjoyable nonetheless. I finished at room temperature, still terrific.